HOW MUCH A SENATOR EARNS IN NIGERIA | Thoughts of a Calabarboy. 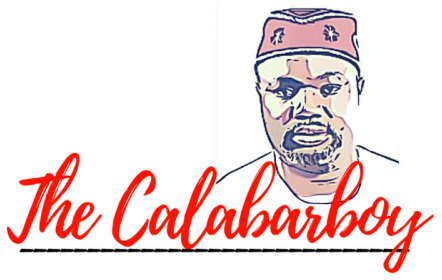 HOW MUCH A SENATOR EARNS IN NIGERIA – Thoughts of a Calabarboy. Today, I came across the information below and I felt I should share this in the open for those who may not have the details already. This is to further strengthen the point that with these mouth watering packages, almost anyone will die to have access to such opportunities. So wonder not when huge malpractices are going on during elections, when politicians are sleeping in the bush for diabolical enhancement and emerging with talismans to conjure their victories, and be not confounded either when before our very eyes, they hijack the system and make it a money making spindle. The President is asking them to sacrifice only 20% of their salaries and they concluded that it was only 10% they could part with. This is extremely laughable. What is even more disturbing is the rate at which these ‘leaders’ engage in under the table transfers and cutting deals that undermine transparency and accountability. Someone mentioned that a friend, working for one of the senators, was sent to pick up and envelop containing $500,000 for a six senators as reward for their ‘hard work’. Yet, these are the same people who feel they are justified to mediate in the Niger-Delta crisis and tell those young militants what to do. I will not argue about what they earn if the can tell me how many credible bills they have passed this year alone six months after. If they could tell me how effective they are back at their constituencies and how many times they meet for meetings to hear out the people who voted them in, perhaps I will not be discussing this. They collect constituency allowance of 200%. If they could show me credible projects they have executed with such monies, then I may be appeased as a citizen that their earnings are justified. In the US where I live, the annual salary of each senator, as of 2009, is $174,000; the President pro tempore and party leaders receive $193,400. In June 2003, at least 40 of the then-senators were millionaires. In addition to their salaries, senators’ retirement and health benefits are identical to other federal employees, and are fully vested after five years of service. Now you sit down and work the total, then convert it to Dollars at 148 Naira to a Dollar. You may then get at my point.